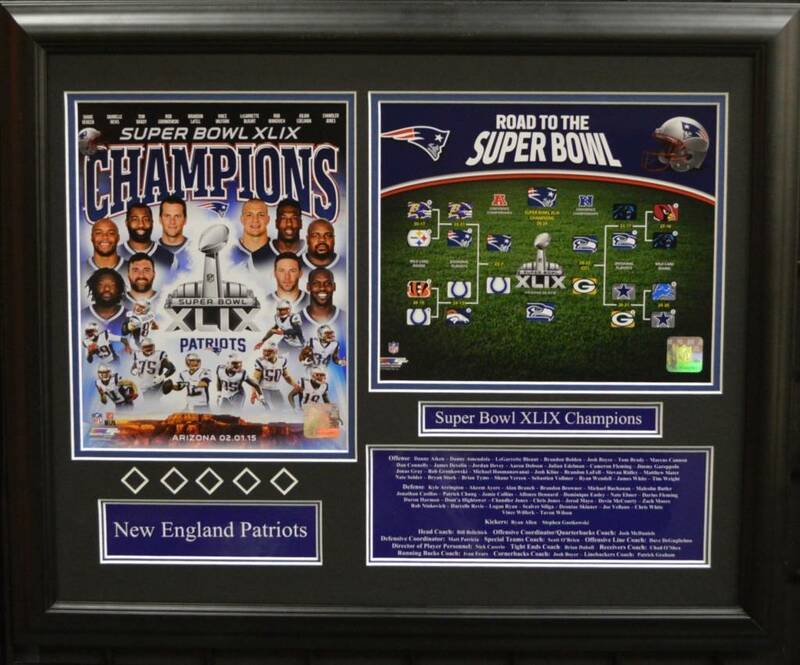 Contains two photos, a collage of players, and a playoff grid of the road to the super bowl, team roster, and nameplates. Approximate outside dimensions are 18.5" by 22.5". Double matted in black and blue. Frame is solid wood with 2.5mm Tru Vue Glass. Comes with protective corners and shrink-wrapped.